If you're ready to begin engaging with your audience, an email newsletter is a great way to do that. Email newsletters also provide a lot of flexibility in terms of communication; for instance, you could send your audience a "one-off" email, a "weekly newsletter," or even a series of newsletters dripped out over time. 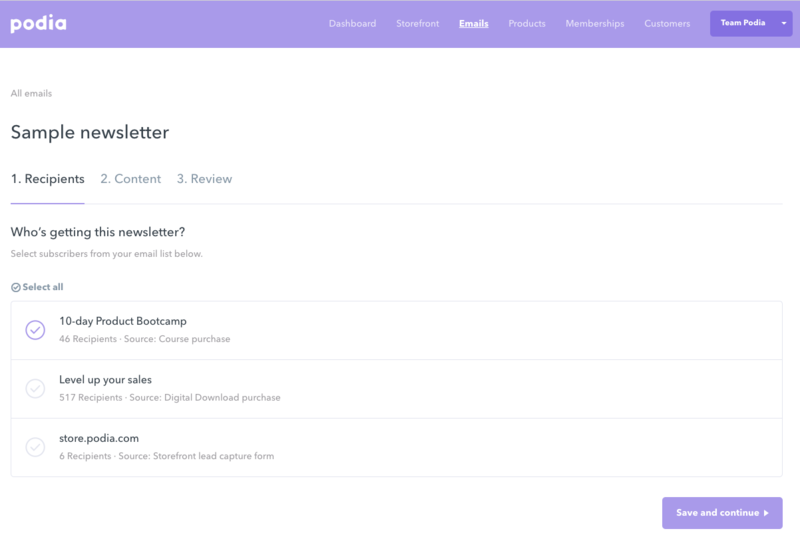 Next, select the email newsletter type you'd like to send (either drip campaign or one-off newsletter) and give it a name. When you're done, press "Create & continue." 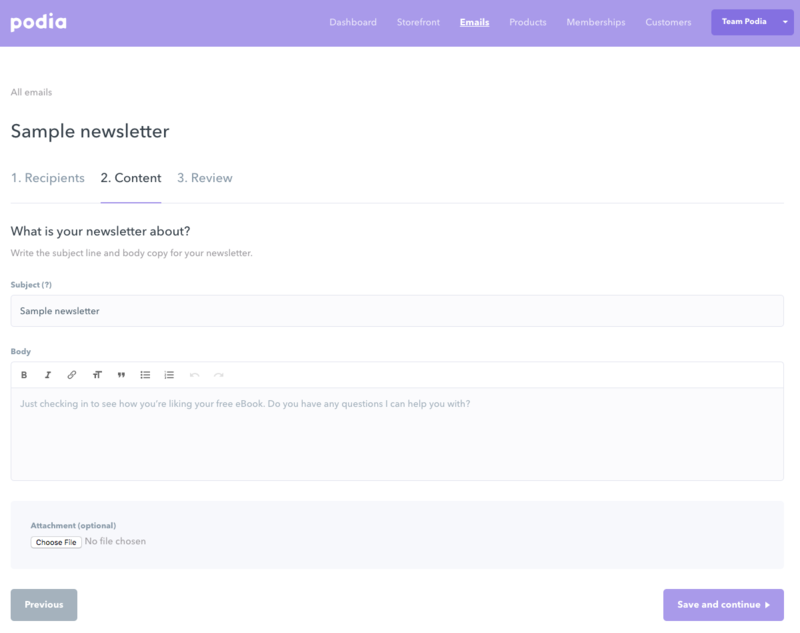 Step 3: Select the group of subscribers (or audience) who will be getting your newsletter. When you're ready, click "Save and continue." Once your email is all set, click "Save and continue." Step 5: Before you send out your email newsletter, we would recommend previewing it and/or sending yourself a test email. 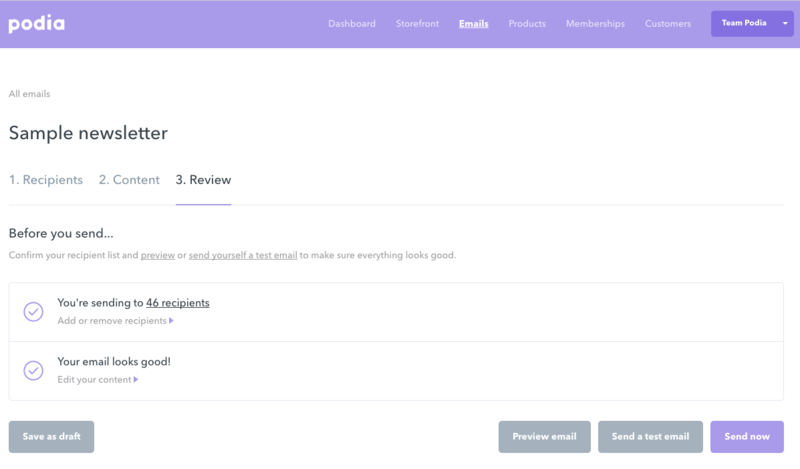 To do that, click the "Preview email" button (to see a preview pop-up within Podia) or click "Send a test email" to see a test version in your inbox. Step 6: When the email is all set, you can go ahead and click "Send now."